STOKE Easy Rider Potters gained a hard fought 43-46 victory over the Buxton Hitmen in their opening National Trophy match of the season at Hi-Edge Raceway on Sunday afternoon. The Potters who were already using rider replacement for Adam Wrathall then lost Ben Reade after an awkward looking crash in heat seven resulting in Reade being withdrawn from the meeting with a knee injury leaving the Potters with just five riders. The Potters started well with a 5-1 in the opening heat from Ashley Birks and Liam Carr after Dean Felton had fallen while second challenging Birks for the lead. The Hitmen struck back in the following race with a 5-0 after debutant Liam Rumsey came to grief with Liam Carr also falling to leave Ryan Blacklock and Chris Widman as the only finished to put the Hitmen 6-5 in front. Two 4-2 heat advantages for the Hitmen in the next couple of races left the Potters trailing by five points after five heats before the Potters struck back with a 5-1 from Liam Carr who took his first win at National League level ahead of partner Simon Lambert over Ben Hopwood and Felton to leave the Potters trailing by a point. 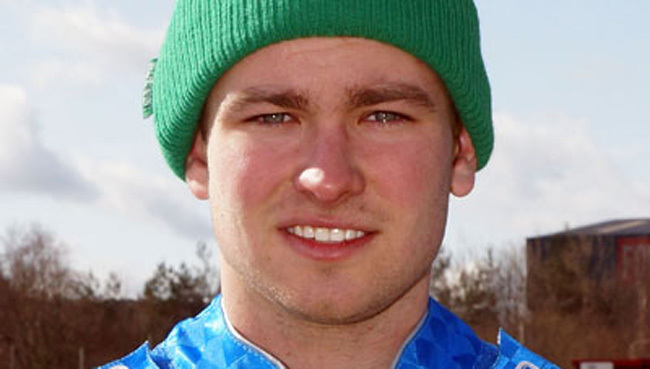 Stoke then lost Reade in heat seven as the youngster lifted after picking up drive while on the outside causing him to hit the Hi-Edge safety fence hard resulting in a in Reade being disqualified by SCB referee Darren Hartley. In the rerun Ryan Blacklock managed to get the better of Potters skipper Tony Atin with former Potter Luke Priest third for a 4-2 heat win for the Hitmen as they extended their lead to three points at the midway point of the meeting as Stoke trailed 22-19 at the midway point of the meeting. Dean Felton took victory in the next heat but the Potters reserve pairing of Liam Carr and Liam Rumsey kept Chris Widman at bay for a drawn heat with the youngsters riding hard to keep the Potter in the meeting. The Easy Rider Potters then pulled back to within a point of the Hitmen with a 4-2 from Atkin and Carr over Felton after Blacklock fell while leading under pressure from Atkin on the last lap with Buxton leading 30-29 after ten heats. A series of drawn races with victories from Birks and Atkin saw the Potters top two rider come out in heat thirteen and they duly delivered with a maximum 5-1 heat advantage to put the Potter in front 37-40 with two heats remaining. Buxton immediately responded with a 5-1 from Adam McKinna and Blacklock over the overworked Potters reserves Rumsey and Carr who had completed fourteen rides between them to leave the Hitmen a point to the good going into the final race. With the fog moving across the track quickly the Potters had the final say with the partnership of Simon Lambert and Ashley Birks storming to a comfortable 5-1 over Luke Priest and Ryan Blacklock to give the Potters 43-46 victory. Easy Rider Potters team manager Malcolm Vasey said "We felt if we could hang until late on in the meeting having lost Ben (Reade) then we would be alright and that is the way it went with the two expected five ones in heats thirteen and fifteen as we do feel that late on we are strong and that in those heats against most teams with Ashley and Simon being two of the top riders in the league. All credit to the lads they really battled hard this afternoon with the two reserves taking fourteen rides between them and yet people are saying we are a Premier League team I find that quite remarkable that people are saying that and I don't know what people want from Stoke. Liam Rumsey had never seen the place before today and it's not an easy track to come to and make your debut on and he did very well, Liam Carr's arms feeling like they are dropping off but he doesn't complain and just gets on his bike and takes his seven rides and got his first National League race win and did very well. Today was one of those exceptional days where everyone did the best they can did not worry about conditions and we've pinched the meeting with a storming finish which is how the team was built to win meetings. The loss of Ben (Reade) was a bitter blow and we hope the injury is just severe swelling and nothing more. Ben is going to his local hospital in Swindon tomorrow his knee is very large and he does appear to be able to move it so I am optimistic that he will be okay but we will have to see what the hospital say in the morning." Potters heat leader Simon Lambert commented "We all battled well in difficult circumstances after losing Ben, we all know speedway is a tough sport and all the lads wish him well and we just had to get on with things. Young Liam (Carr) I let past in one so he gained his first ever race win in the National League so he'll go home today with a smile on his face walking three foot tall and it will give him the World of confidence and Liam Rumsey scored a very important paid three points on his debut which we needed badly no disrespect to Ross (Walter) but he has been struggling a bit we all know he can do it but it is just going out there and doing it and I hope he gets fixed up somewhere soon. I was pleased with my own performance although disappointed in my first when I was caught by surprise by Ryan (Blacklock) and then caused myself problems throwing the bike in left right and centre but that's how it goes and I'm just pleased we got the team a win here this afternoon."